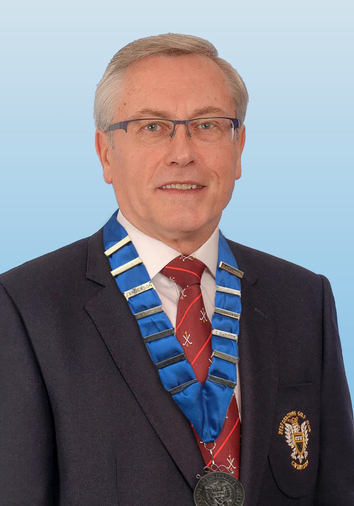 At the Club AGM on Sunday, reports were given by members of the Board on our 2018 financial year and our new team of Officers were elected for 2019. Chairman of the Board, Steve Coppock, reported that Bedfordshire Golf Club is in excellent health and has reported another year in surplus, despite the very challenging weather which was thrown at us throughout 2018! The club also made further significant investments in the courses and capital equipment and was still able to report a surplus. The team were delighted to report a healthy number of New Members continuing to join Bedfordshire Golf Club, filling the limited number of remaining full-member vacancies, even through the quieter winter period. Many of these have moved from other local clubs as they recognise that our facilities are second to none in the area. There was much praise for the full time staff teams the Club, including the Greens' Team under John Gubb, Catering led by Debbie Caves, Bar & Events led by Ruth Coppock and Administration led by Lynne Hopkins. The support from our great team of Golf Professionals was also recognised. Many in the room were keen to recognise the considerable efforts of the Interim Management Team of Steve Coppock, Clive Haywood, John Simpson and Gerald Bygraves, , who have, on a pro-Bono basis, run the Club for most of 2018 and into 2019 with such apparent ease. Retiring Captain, Jim Godfrey recognised the hard work of the leaders of the various Sub-Committees including Chair of Greens' - Sam Turnbull, Chair of Golf - John Haines and Chair of House - Peter Wilson. 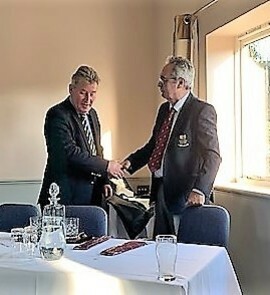 He finished by highlighting the fantastic leadership provided for us over the last four years by Retiring President, Roger Willis and commented that the Club is undoubtedly in a better place now than it was when he took over.